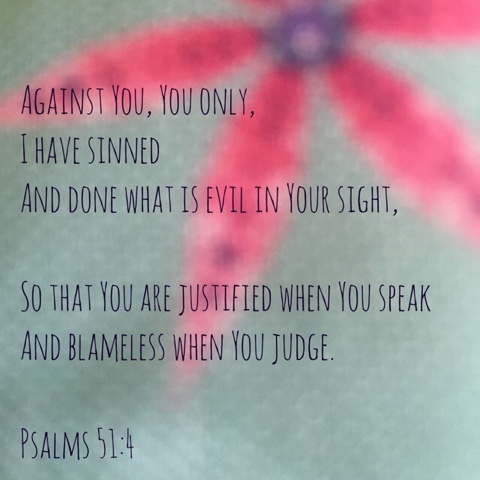 I once had the occasion to hear a truly repentant man read Psalm 51 aloud. It is powerful. After Monday I was feeling a little beat-up (perhaps you were too?). How many times in my life have I wasted God's provision and care by not taking care to protect my ability to bear good fruit for the kingdom? Conviction weighs heavy on a heart that loves the Lord. 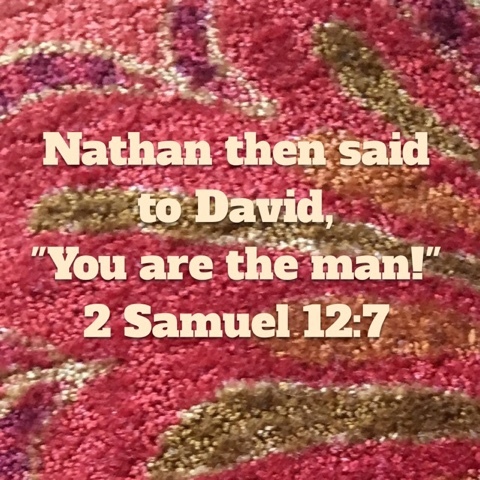 When Nathan told his parable and then turned the tables on an aghast King David that he was, in fact, the wicked man who had taken something that wasn't his ... he went into mourning. He owned his sin, and that in the end his sin, although it greatly affected the lives around him, was only an abomination against God. 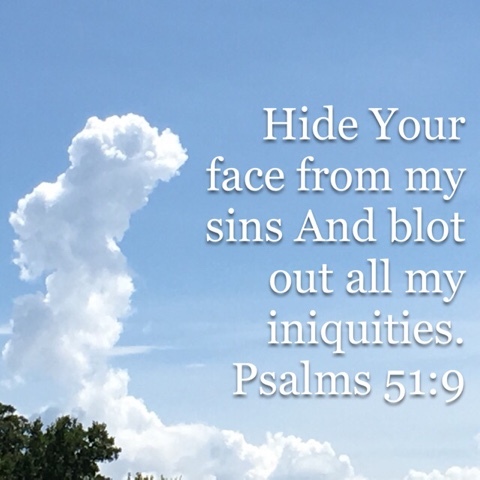 He recognized God's holiness. He didn't try to tell God who he wanted Him to be ... "Well you're loving so you should forgive me" ... he acknowledge that he deserved judgement. And with humility he begged God to remove his sin. Not so that he could be guiltless and carefree, but so that the Lord would no longer see it. His greatest concern was not to have consequences removed from himself (and there were consequences if you continue the story in 2 Samuel) but to have his relationship with the Father restored. He offers his turned heart as a living sacrifice. He recognizes that there is nothing he can do to make it right, but only can give God all he has in his broken heart. And he tells God what he will do when their relationship is restored. He will proclaim God. He will sing. God wants to know us. He wants to show us who we are. And He only wants our brokenness in return ... not so He can trample us while we are down, but so that He can lift us up. David knew there were still consequences. He was told what would happen to the child he and Bathsheba created in their sin, and what would become of his household due to his sin. But instead of being angry at God for not restoring everything he praised His holiness and His generosity of forgiveness. 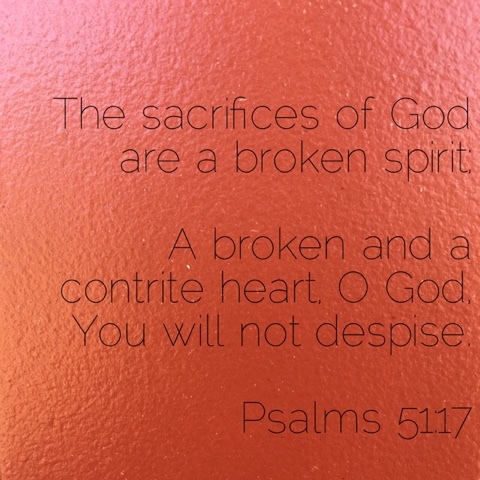 God doesn't break our hearts just for the sake of breaking a sinful heart. He breaks our hearts to change them.